Cruise travelers are taking a closer look than ever at luxury suites and premium lines. At least, that’s what AAA Travel booking data from the last 12 months reveals. While mega-ships carrying 5,000 passengers continue to grab headlines, there’s a definite undercurrent at work, as well. 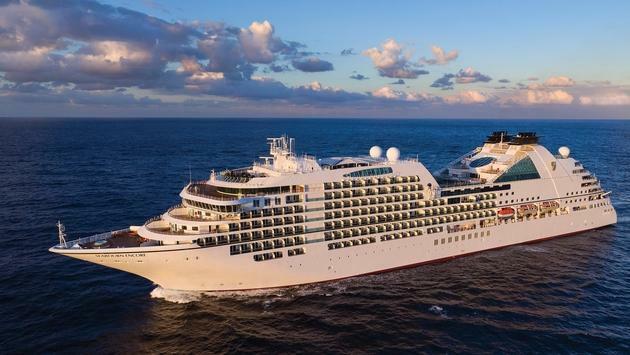 Bookings for more intimate voyages on luxury ocean and river cruise lines are on the rise. AAA Travel says its cruise sales have increased substantially in the past year. But, suite bookings and smaller, luxury line sales have exploded. Current booking trends haven’t gone unnoticed by the mass market ocean lines. Both Carnival Cruise Line and Royal Caribbean have introduced bigger, feature-laden suites on their newbuilds. Suite guests on several lines now have exclusive access to specialty restaurants, private pools and lounges, private butlers and concierges on board. AAA Travel also identified some additional cruise trends of note. For example, bookings to Europe and Hawaii are up substantially compared to other destinations. And, Alaskan cruise bookings have started to level off after years of surging interest.